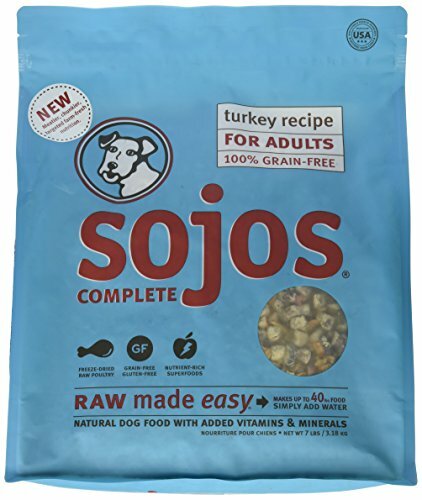 Sojos’ proven “raw made easy” recipes are now even meatier and chunkier—and specially formulated for adults. Just add water and magic happens. In minutes the awesome taste, aroma and nutrition in Sojos’ real, farm-fresh ingredients are ready to serve. No mess, no hassles, no guesswork. It’s fresh, whole food without refrigeration. 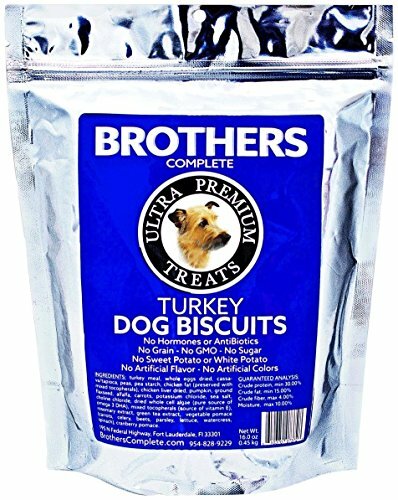 Brothers Complete biscuit treats are part of a growing line of treats that brothers has formulated to help define and fulfill the increasing need and demand for nutritional excellence in dog food. The Brothers Complete line of treats contain no grain, no white potato, no sweet potato, and no sugar in any form. 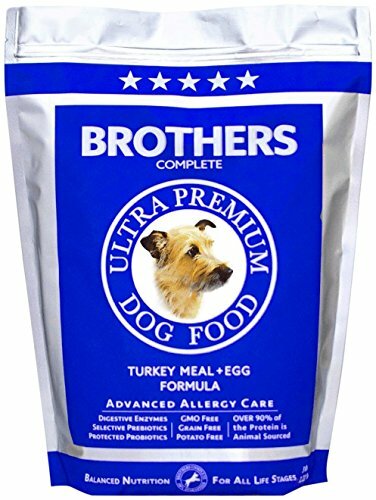 Brothers adds unique and substantial nutritional value to our treats by including our special blend of minerals, vitamins, and nutrients that have been carefully balanced in specific proportion to each other. This produces a treat that is nutritionally complete and balanced and sets a new standard of excellence in treats. Being nutritionally complete and balanced means that brothers treats will not create a nutrient imbalance in your dog, but will instead encourage and contribute to your dog's optimal health and well being. 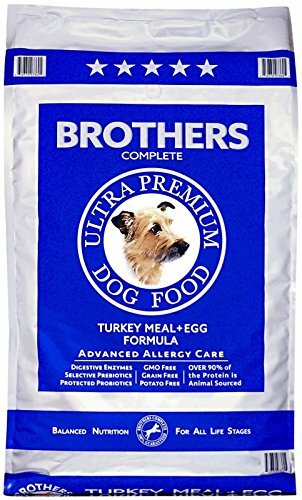 The Brothers Complete turkey & egg advanced allergy formula uses turkey meal and egg (nature's perfect protein with all 22 amino acids and 100% bioavailability) as its main source of animal protein. Over 90% of brothers is animal sourced protein which is what your friendly carnivore was designed to eat. The cassava/tapioca, we use is obtained from the roots of the cassava plant (manihot esculenta) and is a natural source of low glycemic carbohydrates. The tapioca used in brothers does not contain additional ingredients (like sugar and milk) normally added to tapioca for human consumption. 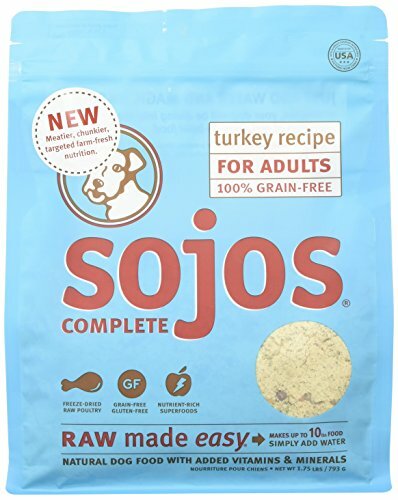 This low glycemic starch allows brothers to formulate a food that is closer to a dog's historic diet, which is based predominantly on animal proteins. Additionally some studies have shown that up to 50% of the tapioca starch survives the digestive process and, instead of being absorbed into the blood stream as a starch, gets to the colon where it feeds the beneficial bacteria that are essential for the health and functioning of the colon, the immune system, and the body as a whole. In effect, this diversion of starch to feed the beneficial bacteria makes brothers an even more concentrated source of protein and nutrients than the assured analysis reveals. Over 90% of brothers is animal sourced protein which is what your friendly carnivore was designed to eat. The cassava/tapioca, we use is obtained from the roots of the cassava plant (manihot esculenta) and is a natural source of low glycemic carbohydrates. The tapioca used in brothers does not contain additional ingredients (like sugar and milk) normally added to tapioca for human consumption. 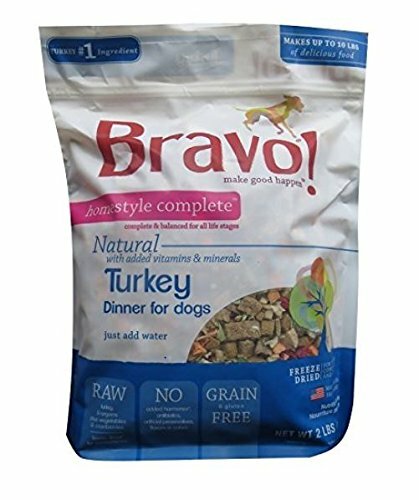 This low glycemic starch allows brothers to formulate a food that is closer to a dog's historic diet, which is based predominantly on animal proteins. Additionally some studies have shown that up to 50% of the tapioca starch survives the digestive process and, instead of being absorbed into the blood stream as a starch, gets to the colon where it feeds the beneficial bacteria that are essential for the health and functioning of the colon, the immune system, and the body as a whole. In effect, this diversion of starch to feed the beneficial bacteria makes brothers an even more concentrated source of protein and nutrients than the assured analysis reveals. 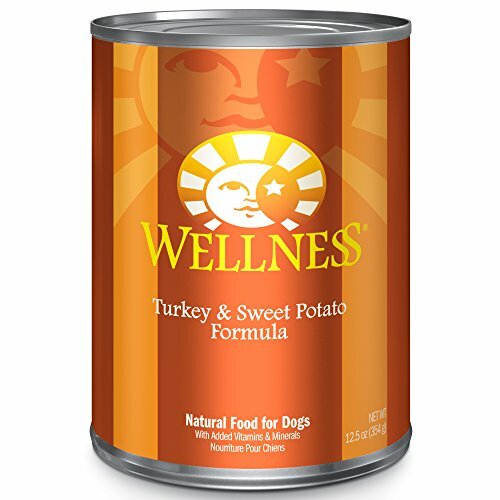 Wellness Complete Health Natural Wet Canned Dog Food, Turkey & Sweet Potato Recipe, is healthy, natural, protein-rich dog food for adult dogs made with carefully chosen, authentic ingredients for everyday health and provide an optimal balance of nutrient-rich whole foods to fulfill the unique health needs of your dog, providing whole-body nutritional support to promote complete health. Wellness Complete Health Wet Canned Dog Food supports your dog's balanced natural nutrition all with natural and delicious ingredients to provide a guaranteed great taste that dogs love. The pure, simple power of raw nutrition can now be enjoyed by dogs of all ages. 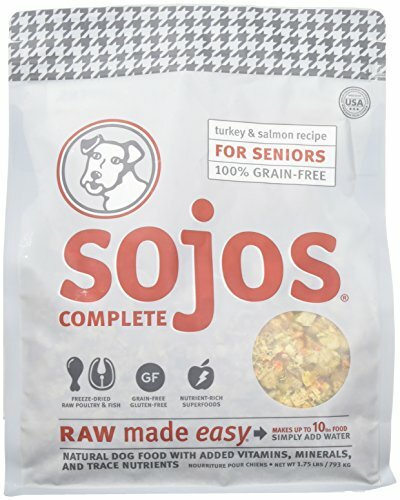 Sojos Complete for Seniors includes targeted nutrients to help support the specific needs of mature dogs—like glucosamine and chondroitin to support joint health, and DHA/EPP help maintain cognitive health. Just add water and magic happens. In minutes the awesome taste, aroma and nutrition in Sojos’ real, farm-fresh ingredients are ready to serve. No mess, no hassles, no guesswork. It’s fresh, whole food without refrigeration. These all-natural grain-free formulas are freeze-dried to offer all of the raw goodness your dog loves for maximum taste and nutrition. With Mighty souls but little bodies, your small breed dog has a unique physical composition that creates special nutritional needs. 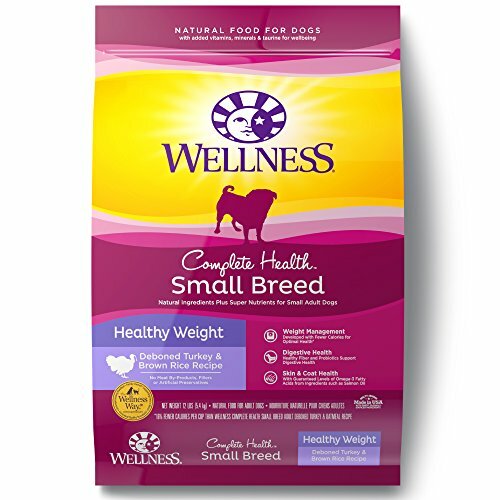 Our complete health grain free small breed recipe is designed to support the unique health needs of smaller dogs through nutrient-rich whole foods. 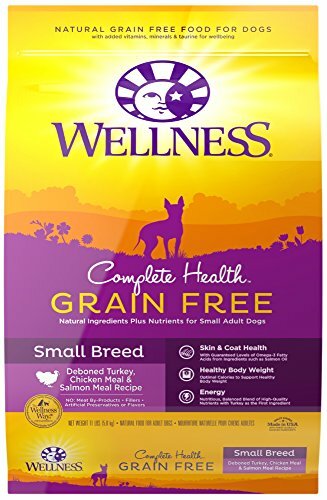 Wellness Natural Pet Food 89152 Complete Health Grain Free Small Breed Deboned Turkey, Chicken Meal & Salmon Meal Dry Dog Recipe Bag, 11 lb. Looking for more Complete Turkey similar ideas? Try to explore these searches: Alphabet Flash Cards Pictures, Coyote Carbon Nocks, and Heavy Duty Oil Cooler. Shopwion.com is the smartest way for comparison shopping: compare prices from most trusted leading online stores for best Complete Turkey, Acrylic Gel Jars, Jaw Claw, Turkey Complete . Don't miss this Complete Turkey today, April 25, 2019 deals, updated daily.